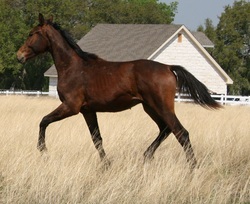 "Prince" is a fabulous young horse. 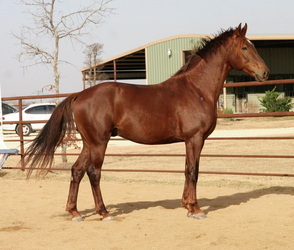 He has powerful gaits and a wonderful temperament. He is by Furst Klasse, a young stallion by Florestan I out of a Donnerhall/Rubinstein I mare. Furst Klasse is a half brother to 2009 N.A. 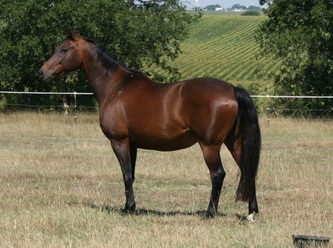 30 Day Stallion Test Champion and 2009 N.A. 70 Day Stallion Test Reserve Champion, Sonntagskind. Prince boasts a pedigree based on rideability, conformation and athletic ability. We will be keeping Prince for Martin's future show horse!